When Vanessa got into her car that winter’s afternoon, she had no idea she was setting off on a journey with no return. An inner journey that would call into question a whole life spent living up to other people’s expectations. With tragic and comic episodes that bring together a domineering mother, a hippie aunt, a boring marriage, an insufferable boss and a friend who never knows when to shut up, “The Strange year of Vanessa M.” shares Vanessa’s voyage of self-discovery with us. And it makes us marvel at the power we have to question things, because there’s no end to the pursuit of happiness. A novel about relationships, marriage and the inevitable mid-life crisis. 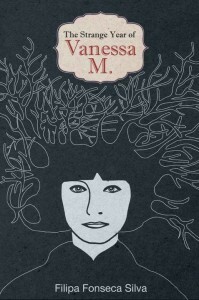 The Strange Year of Vanessa M. is available as a free Kindle download from Amazon from Tuesday 04/08/2014 to Saturday 04/12/2014 . As of this writing, the book has an average of 4.6 out of 5 stars from 12 reviewers. For more free eBooks, check out our 10 Websites to Download Free eBooks list, as well as our Free eBook of the Day archive.